618-687-4824Give us a call today! 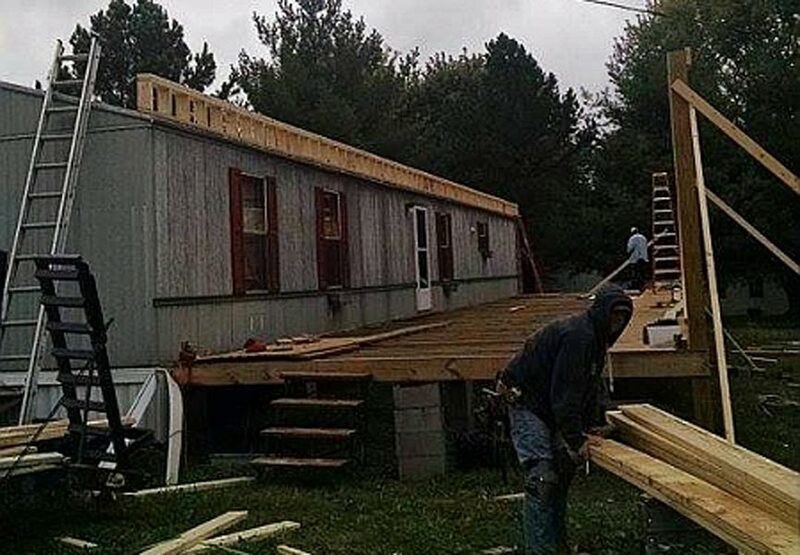 This motivated homeowner built a 16’x80′ deck frame on the front side of his mobile home for the base of an addition. We came in and built the outer wall and integrated it with his home. We used 2×6 walls, 2×8 rafters with a knee wall, and 5/8″ OSB because we like to make sure our construction is solid. All screwed together using guard dog screws. 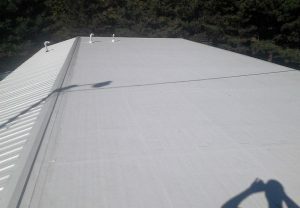 Carbondale & Marion – Flat Roofs Done Right! Hail damaged roofs and what you should know about them. We strive to exceed your expectations while staying within your budget. Your property is an investment no matter what it's worth, and the roof is the primary defense against the weather. For the past 28 years we have continued to provide Carbondale with excellence in roofing installations and repairs.